This collectible pen was crafted from teak decking removed from the battleship USS North Carolina. This historic ship was launched on June 13, 1940 at the Broolklyn Navy Yard. BB 55 was the first of the Navy's modern battleships and the first built in sixteen years. She was commissioned on April, 1941. During her shakedown cruises and trips into New York Harbor she earned the nickname "The Showboat". She was in New York Harbor when Pearl Harbor was attacked on December 7, 1941. BB 55 entered the Pacific on June 10 of 1942, logging over 300,000 miles during the next three years. The USS North Carolina participated in every major naval offensive in the Pacific area of operation, earning more battle stars than any other battleship in the U.S. Navy. Toyko Rose reported her sunk on six seperate occasions, much to the surprise of her over 2000 officers and crew! BB 55 was decommissioned on June 27, 1947. The dedication and hard work of the people of North Carolina saved this proud ship. 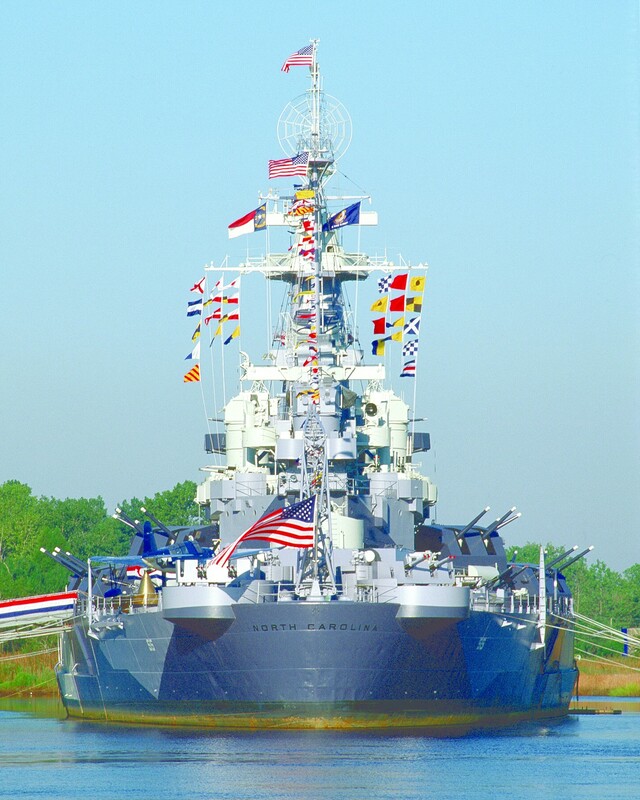 On April 29, 1962 she was dedicated as a memorial to North Carolinians of all services killed in WW II. Today you can visit the Battleship North Carolina at Eagles Island, Wilmington, N.C. To learn more about BB 55 visit the website Battleshipnc.com or call 910-252-5797.